We got the cover, too! One of the greatest periods of professional growth that I have had was my 2 year postdoctoral fellowship at the University of Texas Health Science Center at San Antonio. 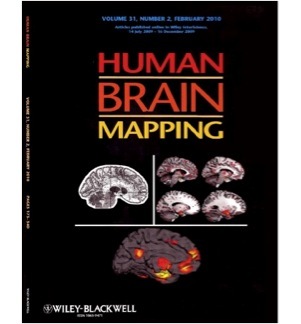 Aside from having wonderful mentors and colleagues, I got to experience the tremendous evolution of the BrainMap database. This paper, which was the first to use an anatomical region of interest (ROI) to query the database, demonstrates an alternative method to developing models of functional connectivity that appear to be robust and task independent.